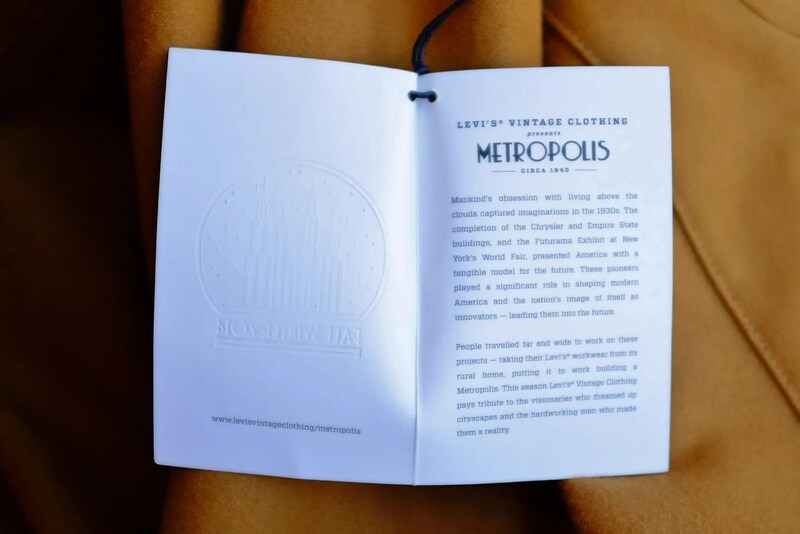 This jacket was made by Levis Vintage Clothing as part of their Fall / Winter 2014 “Metropolis” lineup. 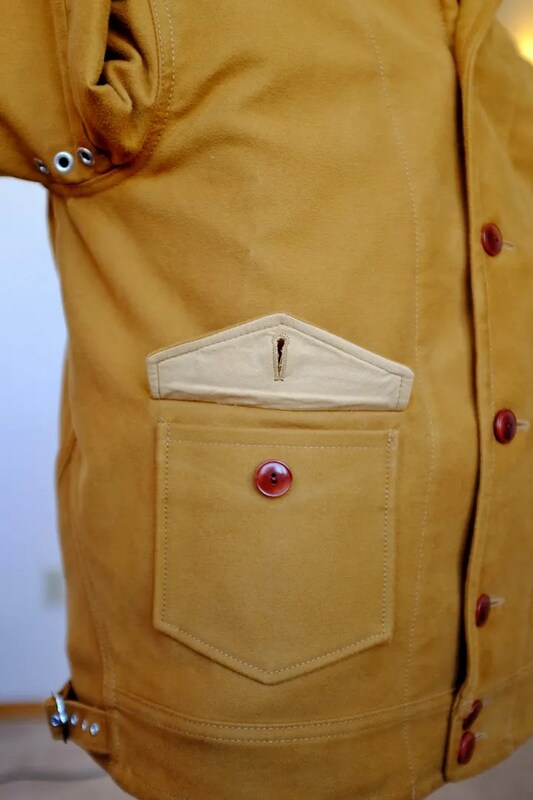 The official model description is the Levi’s Vintage Homerun Moleskin worker jacket. 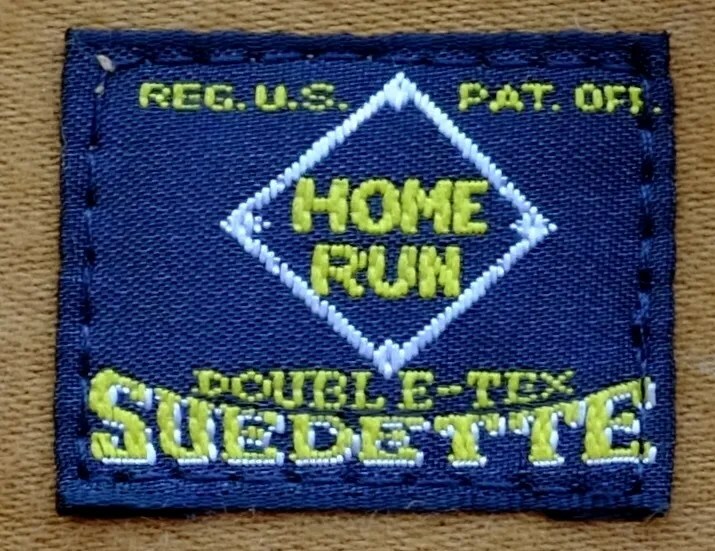 The tag reads, ” HomeRun Double-Tex Suedette “. 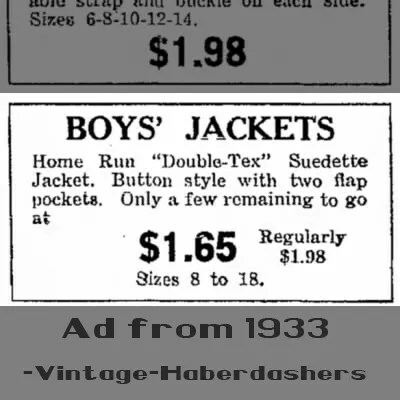 Though the line is described as reproductions of clothes made “circa 1940”, this style of shawl collar, button front jacket was popular from about 1928-1933. 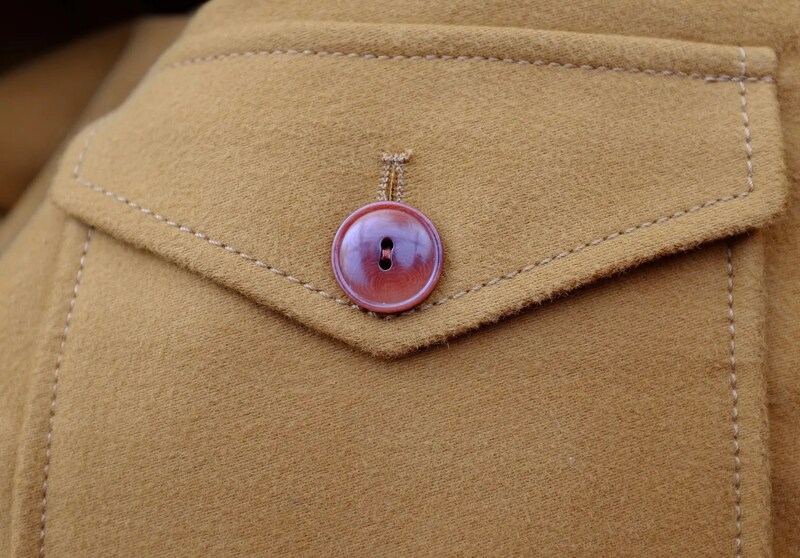 These days, it is often referred to as an A-1 style by collectors because of the button front. While it shares a common stylistic ancestor with that knit collared model, the two are divergent lines. 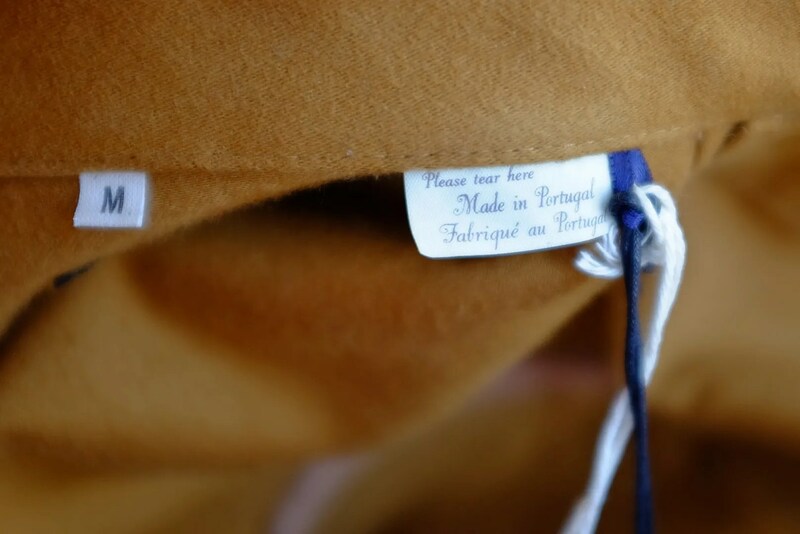 When originally produced, these were referred to as Cossack Jackets. 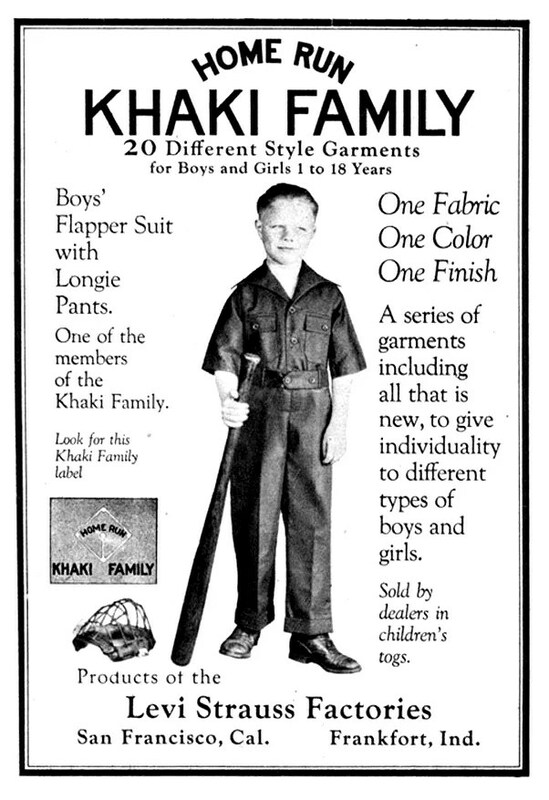 That name was later applied to the belt-backed leather jackets of the mid 1930s onward. Through other current productions of the style, it has also become known as the “Menlo” or the “Heron” after specific model names. 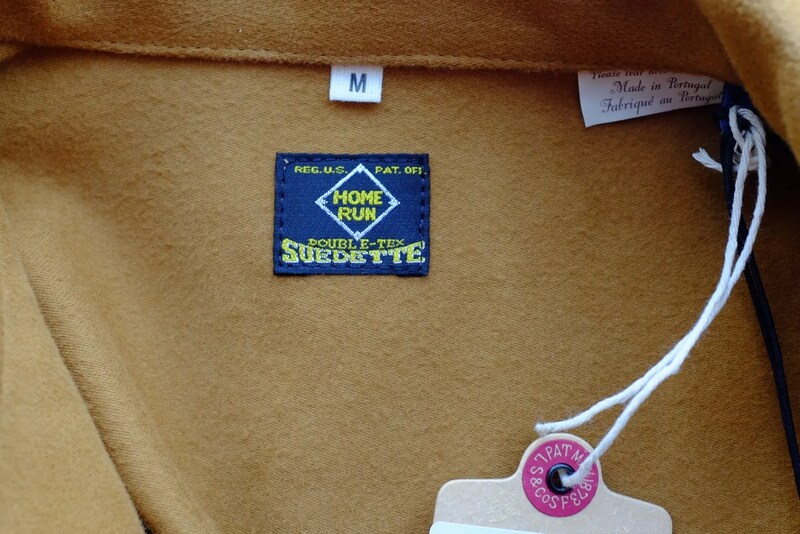 The Home-Run label was originally used by Levi Strauss from the mid 1920s through to about 1940 for a line of children’s and teenager’s clothing. 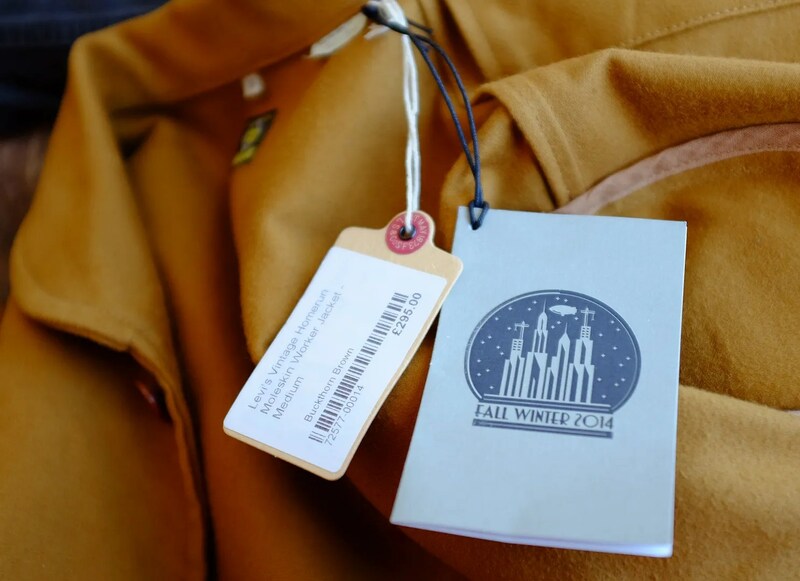 Levi’s Vintage Clothing resurrected the label design for the some of 1930s workwear reproductions in this Metropolis line. 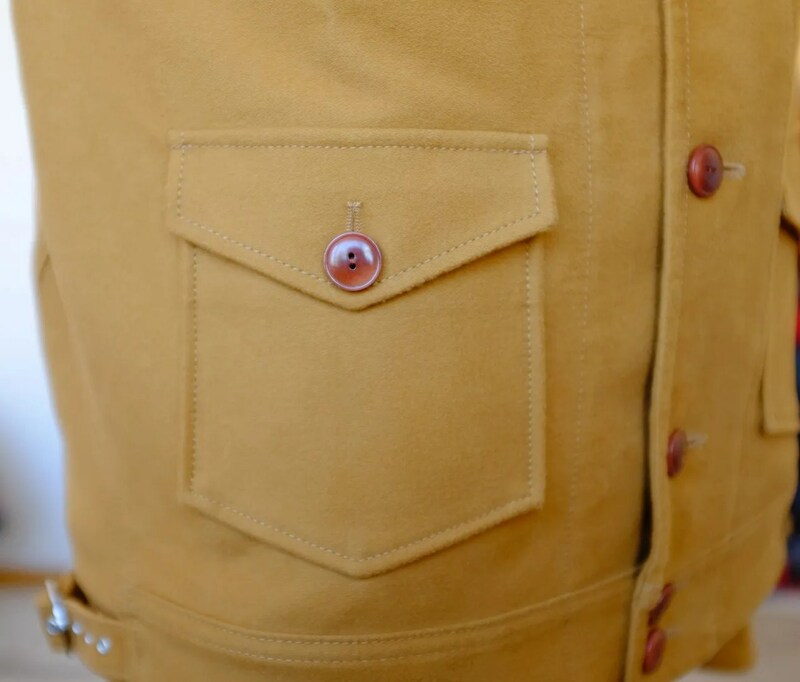 It is a very nice reproduction of the style, made in a durable moleskin cotton. 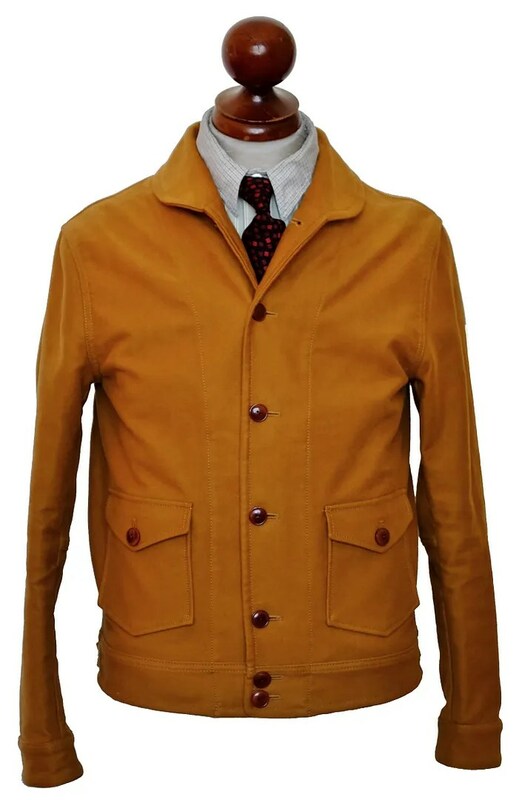 The jacket has a seven button front, with small flapped pockets. 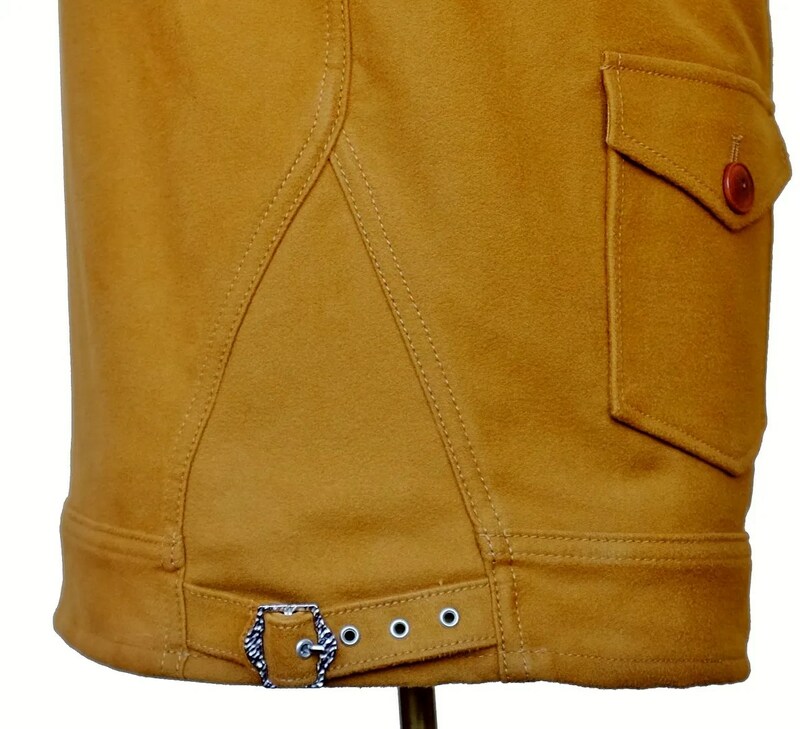 It has a shawl collar, and triangular side panels with belt adjusters. 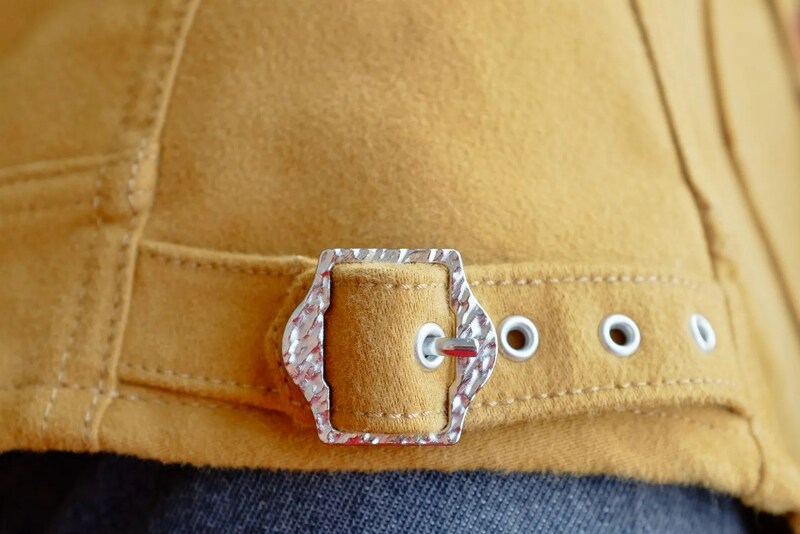 The belt’s buckles are reproductions of vintage hammered style hardware. 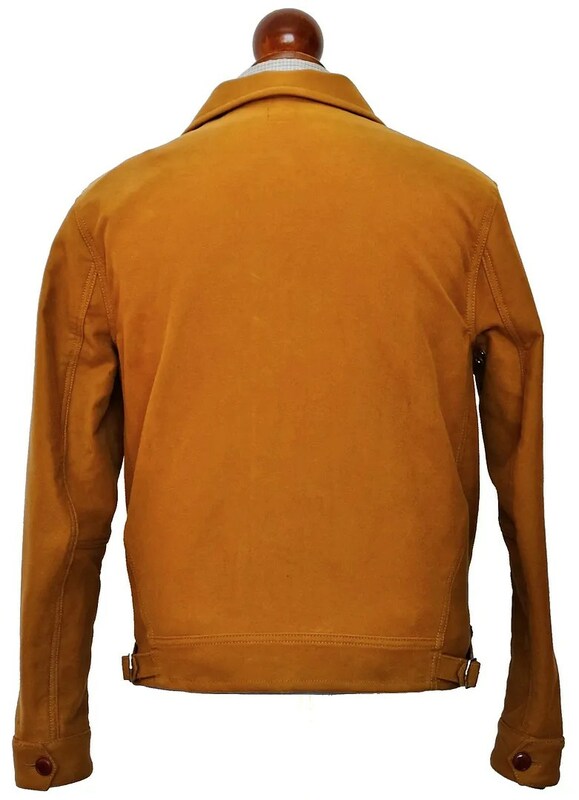 As is typical of this style of jacket, it us unlined. 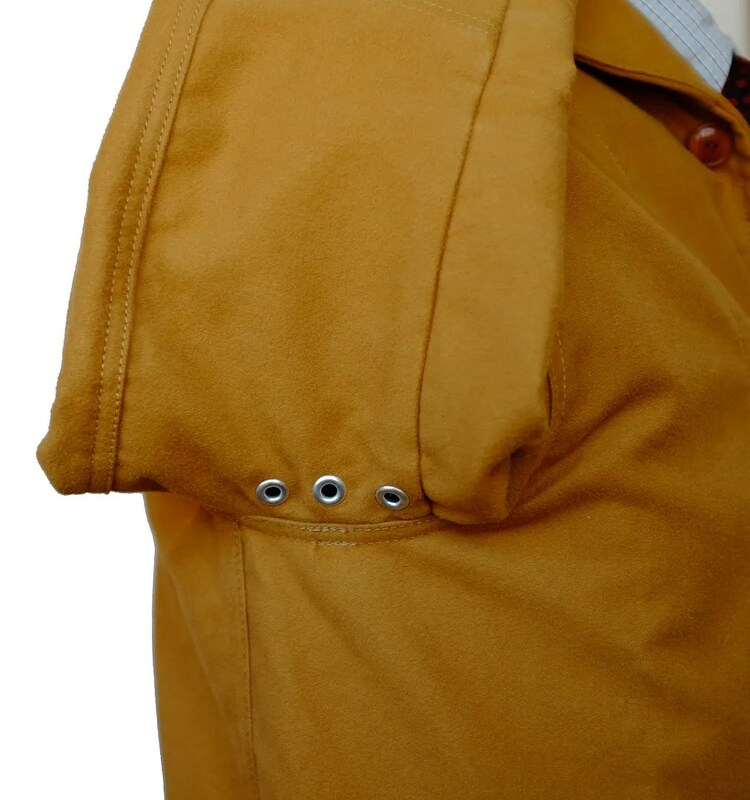 It has ventilation grommets and shirt style cuffs. With a 42″ chest, this would best fit a size 38. 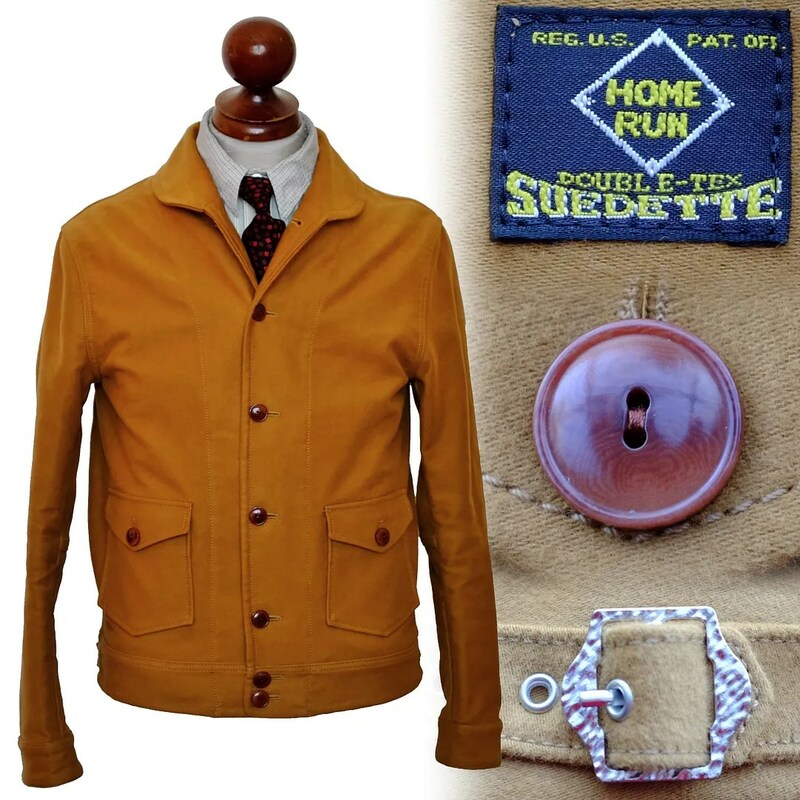 This entry was posted in Jackets and tagged 1920s, 1930s, A-1, Aero Leather Clothing, aeromarine, Alexander Leathers, aviator, capeskin, clothing, cossack, fashion, heron, Himel Brothers, history, Home Run, Homerun, horsehide, leather, Levis Vintage Clothing, LVC, Menlo, mens, Mister Freedom, moleskin, Ralph Lauren, RRL, shawl collar, style, vintage, vintage clothing, vintage fashion, workwear by Spencer Stewart. Bookmark the permalink.